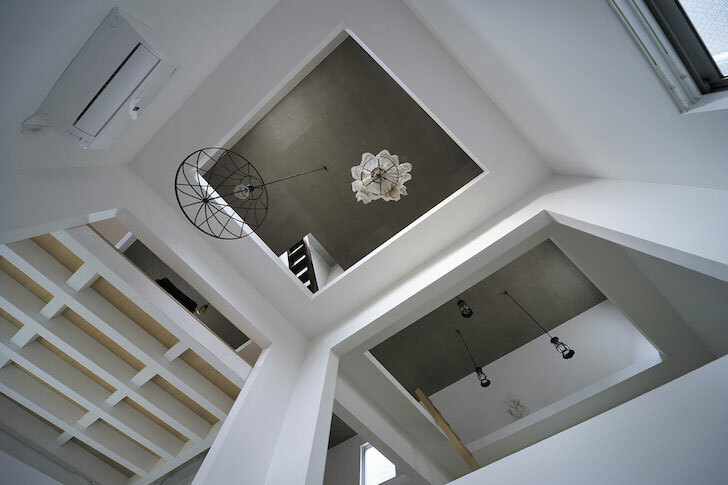 We've seen people swinging on ladders to access tree houses, but it's not every day we see ladders <em>inside</em> homes. 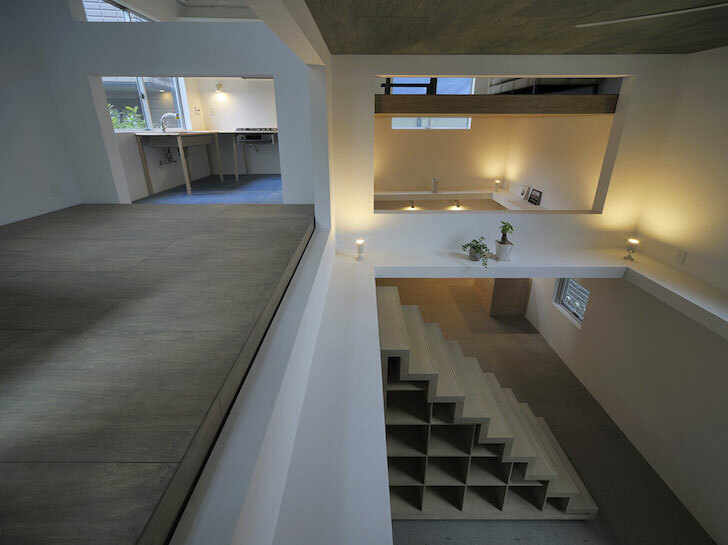 In 2012 a Tokyo couple commissioned <a href="http://www.shnzk.com/works/detail11/">Hiroyuka Shinozaki Architects</a> to give their 750 square-foot apartment a contemporary makeover, one that would maximize the interior space used as both a home and a studio. 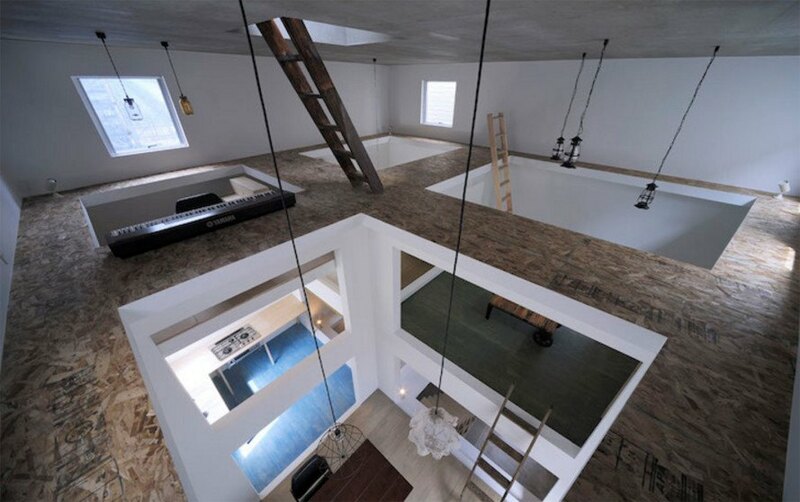 The Japanese architect responded with an unconventional design comprised of a series of floating floors accessed by a network of ladders. But how did it get the nickname 'Ninja'? 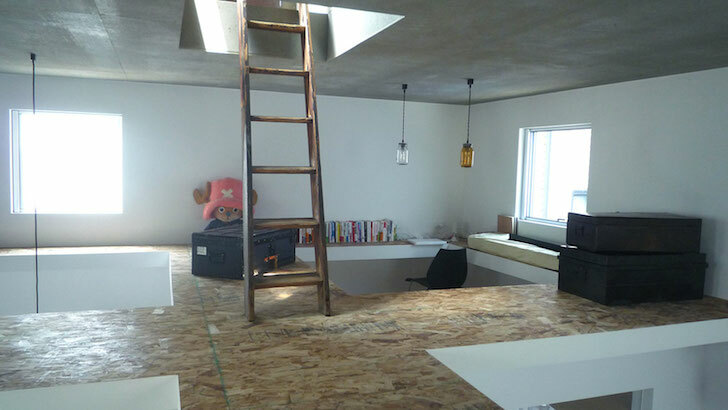 This 750-square-foot space in Tokyo functions as a home and office. 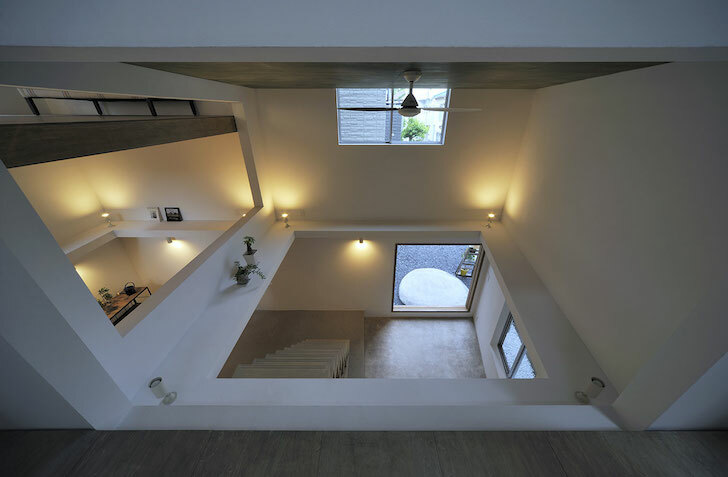 In 2012, the couple who own the space commissioned Hiroyuki Shinozaki Architects to renovate the interior. 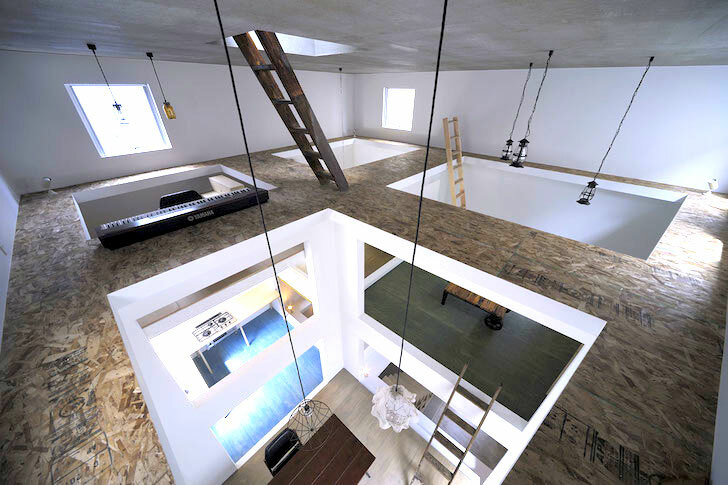 Unconventionally, the Japanese architect responded with a series of floating floors. 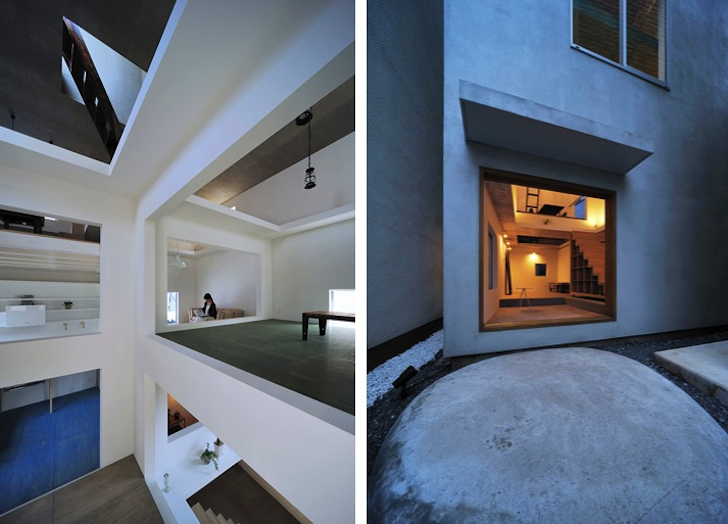 The hollow floor plates are stabilized with three-dimensional columns. They adopted the term "ninja" to convey the movements they use to navigate their home. Lights hang from the ceiling to illuminate all floors, though the spatial configuration allows for natural light during the day. Aside from the bookcase staircase, sans railings (pictured here), the couple moves around using ladders. We've seen people swinging on ladders to access tree houses, but it's not every day we see ladders inside homes. 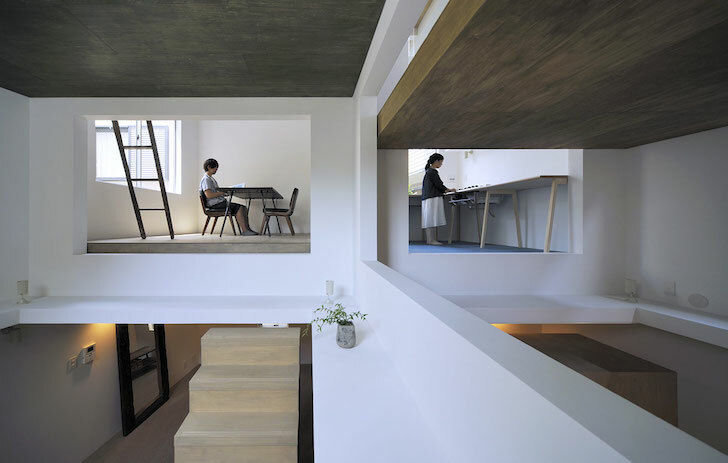 In 2012 a Tokyo couple commissioned Hiroyuka Shinozaki Architects to give their 750 square-foot apartment a contemporary makeover, one that would maximize the interior space used as both a home and a studio. 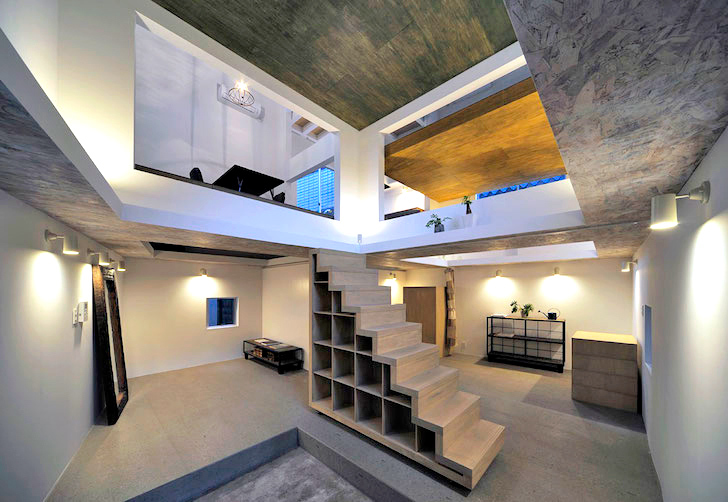 The Japanese architect responded with an unconventional design comprised of a series of floating floors accessed by a network of ladders. But how did it get the nickname 'Ninja'?